Reply 'For Captain Davidson'. 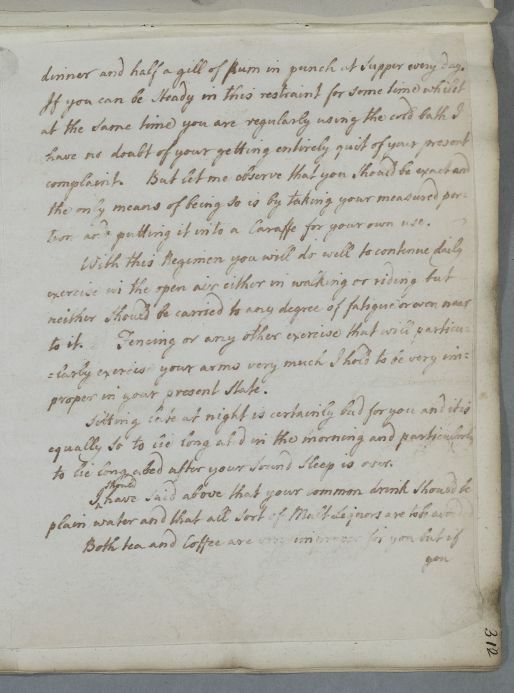 Cullen affirms his earlier advice that the chief remedy is cold bathing, but also gives directions for a regimen, including 'Temperance in every respect' and the avoidance of 'a rich and full diet'. Mentions sending a recipe to Mr Russell. 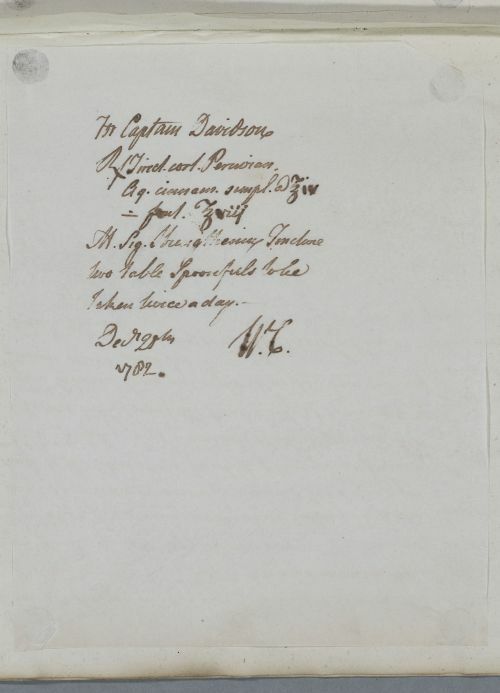 Summary Reply 'For Captain Davidson'. 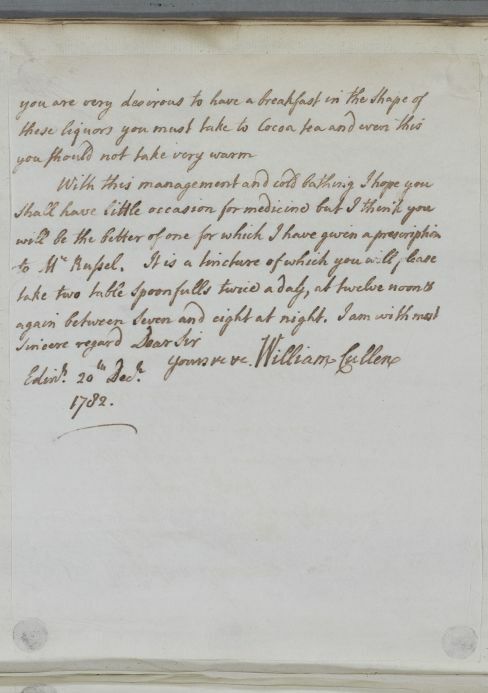 Cullen affirms his earlier advice that the chief remedy is cold bathing, but also gives directions for a regimen, including 'Temperance in every respect' and the avoidance of 'a rich and full diet'. Mentions sending a recipe to Mr Russell. 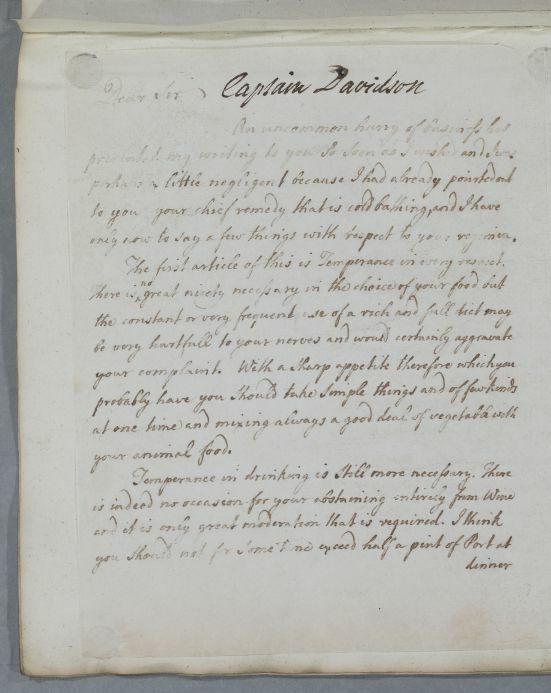 Case of Captain Davidson who is advised to continue the cold bathing and pursue Temperance. only to say a few things with respect to your regimen. The first article of this is Temperance in every respect. dinner and half a gill of Rum in punch at supper every day. tion and putting it into a Caraffe for your own use. proper in your present State. to lie long abed after your sound sleep is over. plain water and that all sort of Malt Liquors are to be avoided.